No, this is not an age-progressed photo of my son Leo. This is a photo of Robert Robinson, a sixteen-year-old autistic teenager who was killed by his mother -- who then killed herself. I have been too sick at heart to write about Robert's murder until now, because -- once again, and so predictably -- news outlets have framed the story around how hard things were for Robert's mother, how difficult it was for her to take care of him, and thus are perpetuating the awful message that murdering Robert was an understandable act. Once again the implication is that Robert's mother Angie, who could tell people what she was experiencing and could have walked away, was the victim; and that Robert, who relied wholly on Angie to communicate and advocate for him and who had no escape options, was ... his mother's trigger. An innocent autistic person was murdered. There is no defending or justifying this action. Loving mothers do not kill their children. If I read another story about a mother who "loved her autistic child so much" and "tried so hard" but then murdered that autistic child, I am going to throw my computer across the room. Lack of services need to be discussed separately. Of course autistic people need more and better services, and so do their families. But lack of services do not justify murder, and reporters need to stop writing stories that make this lazy, dangerous connection. We need to be aware of signs of caregiver fatigue and exhaustion. If parents are nearing the edge, that puts their kids in danger. Please be vigilant if you know a family that is showing signs of stress. Parents approaching crisis can walk away. Even if you believe "no one else can care for my child," it is better for your autistic child to be with someone who will not kill them. Behavior is communication. If an autistic child, teen, or adult is behaving in a way that appears aggressive or violent, there is likely a root issue, such as lack of communication options, illness, boredom, or sensory concerns. Please do everything you can to explore those possibilities. Please note: Paula Durbin-Westby has put together a list of emergency resources for disabled people in danger, and for caregivers who feel they are nearing a breaking point. Perhaps you might expound on the ways parents in distress can "walk away". What are the options? "Hello 911?... my child is not safe with me, I have thoughts of harming him/her"
Many mental health agencies offer respite services for adult caretakers of autistic children and adults. These services are also available for caregivers of people who suffer from mental health issues. All you have to do is contact your state department of family services for details on many of the programs they offer to families of people with ASD, mental illness, or who are developmentally challenged. No excuse for murdering a child, especial a special needs child is acceptable. Call CPS, pay child support til they turn 18. Leaving the kid at a fire station or police station if you happen to live in a rural, far-from-hospital area would work too. God, I needed some bullet points in that post. So, 911, CPS, Hospital/Fire Station/Police, all good escape routes. If dealing with violent behaviors and have other children that need protection, these really seem to be the only available options to keep the child safe from harm. Not ideal solutions for the child, as Paula said, but better than death. Not ideal, but better than death. That is exactly right. Ms. Rosa, found this open letter while doing some research into the matter-- it's a polarizing topic, to say the least. It shouldn't be a polarizing topic to ask people not to kill their kids, and to ask the media to stop telling sympathetic stories about the murderers rather than their victims. Trying to make it about the mental health of the murderers only stigmatizes mental illness and (once again) justifies the murders. I regard compassion as proper only toward those who are innocent victims, but not toward those who are morally guilty. If one feels compassion for the victims of a concentration camp, one cannot feel it for the torturers. If one does feel compassion for the torturers, it is an act of moral treason toward the victims. Murderers are never victims. Why is this so hard to grasp? She had choices OTHER than killing, and until you show me she didn't, she gets no sympathy. In regard to a lack of services, well. Autism Speaks is the biggest autism nonprofit in the country. Only 4% of their budget goes toward family services, while most of the rest goes toward eugenicist cure research. I suggest people who want services donate their money to organizations that will actually pay for them. Read the article again, please. She could have walked away. She didn't have to kill him. Stop muddying the issue. Lack of services is a separate conversation. Caring for any child is hard. So is working for a living. You wouldn't condone murdering co workers, would you? How can anyone defend the murder of an especially vulnerable person? You do not defend murderers. Period. If motherhood was too hard.. she should have given up the child. There is never an excuse for taking your own child's life. A life that they had a right to live. My son is 14 and has autism. Have I been stressed? You bet. I don't have all the answers. But i can tell you this....i would NEVER hurt him. He can't help it if my stress levels rise. But i can damn well figure out a million other ways to deal with it...NONE OF THEM INVOLVE MURDER or doing him harm. Mothers that love their children DO NOT KILL THEM!!! The system could have done a better job than this murderer. The murderer received far more support than her son, and had far more options. She deserves our contempt and disgust for choosing the worst option possible. Krymarh, no. The message here needs to be "do not kill your children, if you find yourself in that position, call 911 on yourself." To make the message extra-clear: If you keep insisting that you *truly* understand the mindset of Robert's mother, then that means your child is in imminent danger and, ethically, I should be using the power of the Internet to identify you and call CPS. Murder is NOT an option. My mother raised me alone, poor, without a diagnosis for me that would've qualified her for services, and she had to deal with her own migraines, physical disabilities, and undiagnosed autism. When things got too bad, she still knew the right thing was to call the authorities--because SHE had an intact sense of right and wrong. We are asking people not to murder their kids. Yet we are the cruel ones with the executioners' attitudes? The mind reels. Write away, I hope people come here and read what I've written and make up their own minds about not excusing killing innocent autistic people. Krymah - That is a whole lot of words that boil down to "poor mommy had such a hard life that killing her kid was a reasonable thing to do". No. Never. Suggesting that and kid (or ANYBODY who isn't YOURSELF, for that matter) is better off dead is wrong. Suggesting that a kid who is in pain (but has the potential for a full recovery, once the doctors figure out what's wrong) is better off dead is wrong. There should be zero sympathy for murderers. A lack of appropriate services is not justification for murder!! That you for writing this. This is happening far too often. Depression is a demon (metaphorically speaking) that lies to the sufferer, telling them that death is better than continuing this existence, that nothing gets better, that every moment of joy that was ever experienced was a lie and a particularly cruel cosmic joke. Add in unhealthy enmeshment with a child on the more severe end of the spectrum (enmeshment in the sense that a person starts to believe that their child can never be happy or safe with another person) and you have a recipe for disaster. For the sake of our children and our own well-being, we have to recognize the warning signs in ourselves and in other caretakers in the spectrum tribe. I really understand being fearful of all-too-frequently adversarial social service agencies, I really do. Sometimes, to use a metaphor, CPS & AAPS use a cannon where a flyswatter would suffice. Perhaps that is the battle that we need to make - ensuring (& reassuring) that caretakers who recognize that they're in crisis are not treated like criminals simply for asking for help. This is why the message need to be "it is OK to call 911 on yourself if you think you're a danger to your child" and FFS *not* "If you kill your child, everyone will understand." Is the presumption that the thought going through a mother's mind in that dark hour whether or not her filicide/suicide will be considered marginally "socially acceptable" as the impetus to go through with it? When the media writes about parents who murder their autistic children, and sympathizes with the parents, there are often rashes of copycat murders. So, yes, that is one concern. But mostly, I don't think there is enough awareness that parents can call 911 on themselves if they feel they are a danger to their child. I heartily agree with this. I once read from an analysis of how the dehumanization of autistics happen is that people tend to believe that "there is nothing worse than having autism," so being dead > having autism, therefore it's not really all that bad to murder autistic children. Murder is always wrong. (Murder being defined by wrongful taking of life, as it were. Instead of self-defense or to eat, etc.) And murdering one's child is always wrong. Mitigating the murder of a child is to mitigate the parent's guilt and the guilt of murder should be unmitigateable. Stop talking like you know exactly what she was going through. Prince Rupert is an isolated place in the north!!! You have no clue what this lady was going through. I feel bad and not condoning what she did, she was 100 lbs and her son was violent towards her. She loved him... she tried to reach out and ask for help... was told there were not enough resources. Keep your judgement to yourself... unless you were there and witnessed every single thing she went through. Keep your judgement to yourself!! You are in the united states and stop acting like you know about the resources available. STOP comparing your kid to Robert... everyone is different!! No two people are exactly the same!! I feel bad for what happened to both of them... judging Angie is not decent unless you have been right there to see all that she has been through and went through it with her! 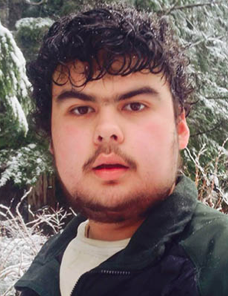 I am an autism parent, and while I live in California my family is from Central BC (Prince George and Smithers). So it is not as though I am a stranger to these circumstances. And even so, they do not excuse murder. Would you be able to say to Robert's face that you understood why his mom killed him? Because that's essentially what you are saying here. You understand why Angie killed her son. Please stop doing that. She had a choice, she could have turned herself in as a danger to her son. But she didn't. And now Robert is dead, through no fault (or choice) of his own. This is me not condemning anyone, but doing a different thing. I am saying in a very calm and practical voice that I do not know what it is like, but I know this: if I ever believe I am going to murder my children and then kill myself, I will call 911 and tell the dispatcher that I am knowing and it is happening. Then, resources (even if not my favorite ones) will suddenly appear. I do know being Autistic in a living way is better than being murdered, and in my imagination I would rather see my children in the care of others, however imperfect, than in the cold care of the grave. I would rather live knowing I have protected their life at dearest cost, even if it meant losing them. This is painful to think about but it is something I must think about in order to think compassionately.